Emilio’s Restaurant & Pizzeria has been gracing the town of Commack with its old-world Italian charm since 1980.What started as something to do in the winter, as Emilio Branchinelli worked making Italian ices in the summer months, is now a flourishing Italian restaurant and pizzeria with a steadycrowd and impeccable surroundings. It has become a “pizza” staple in Western Suffolk county, with many a customer willing to add a few more miles to their drive to be able to sink their teeth into an authentic Emilio’s pie. The restaurant is meticulously run by Emilio himself. In 1990, he split with allfamily members and decided to make a go of it alone. He developed an eclectic type of menu that was different than regular classic food, which is still today “our favorite tomake and is the biggest seller,” he says. He created contemporary recipes, though always keeping pizza in the mix, and he also hired a team of interior designers who renovated and decorated the space to his liking. 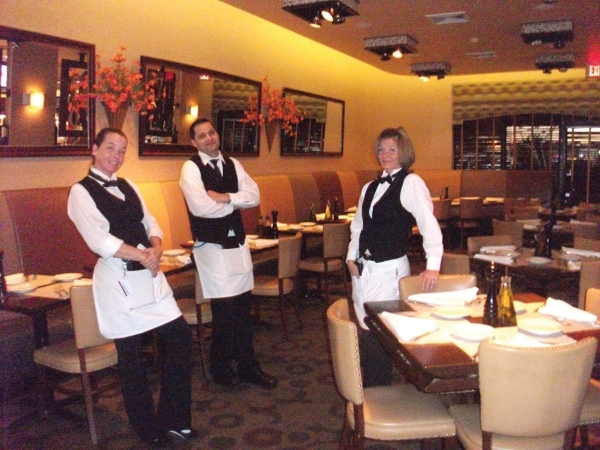 staff is efficient and courteous, always ready to greet with a smile. Cleanliness is of utmost importance, with “crisp, clean, stainless steel” décor that reverberates with purity and freshness. Their menu is “massive,” as Emilio puts it, abundant with “delicious, innovative dishes with oldstyle standards.” But impressively, with as many selections as there are, everything is still made to order — even their manicotti. This is made possible by the small army of employees working in the kitchen and in the foreground — as many as 40 at any given moment. 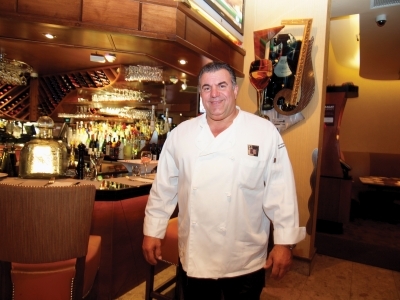 The recipes are a mélange of traditional dishes and Emilio’s creations. He invents his own pasta entrées and other Italian dishes that are distinctive and unique. “I myself make each and every recipe through inspiration,” he explains. “When an idea comes to me, I make it happen.” Some customer favorites include the eggplant rollatini, calamari arrabiatta, and rigatoni Napolitano. of knowledge about this round culinary gem we call pizza. as we know it today, the Margherita Pizza. 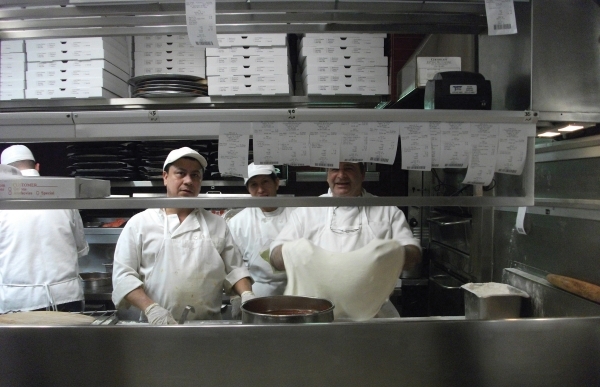 Back in 1903, the inspired Gennaro Lombardi made his way to Little Italy and opened the first known pizzeria. One of his employees, Antonio Totonno of the famous Totonno’s of Coney Island opened the second pizzeria, which still stands today. From there, Peppe’s of Connecticut made famous theclam pizza. 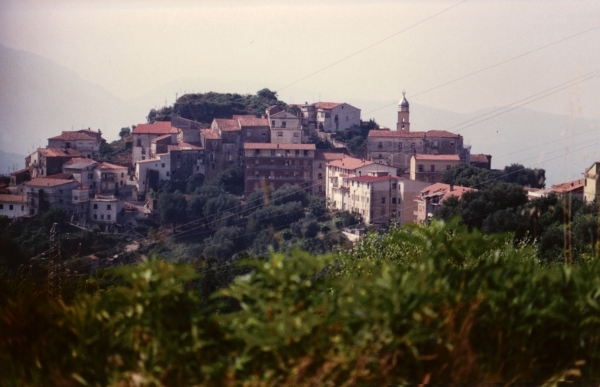 From Italy’s most beautiful mountaintop in Positano in a town called Mondo Pertuso, came the Aiello family who migrated to New York to open the first known mozzarella factory. Actually, my father, Gino, worked for them producing mozzarella, which was then put under government control to force them to pasteurize the cheese, now to be called “cubed pizza cheese.”Then the Bari family manufactured thermostatically controlled pizza ovens. With these products, a cousin of my father, Luigi Lamonica, teamed up with a guy called Mastro. 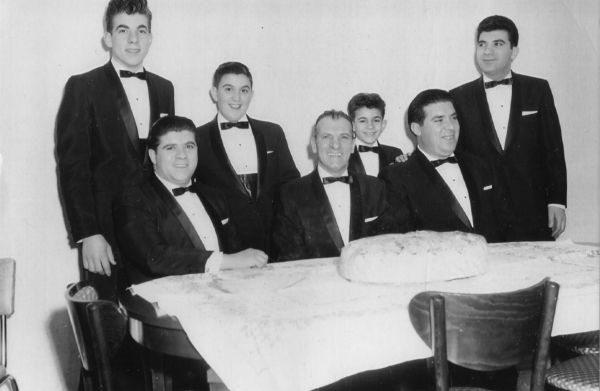 Mastro sold pizza ovens to people like my father Louis Gino Branchinelli and other pizza pioneers such as Lenny Schiano,Ralph Pagano, and Joe Alfeo. You could still smell the pizzas a mile away when these first came out of these pizza ovens sold by Mastro and made for him by Baker’s Pride, who isa leader in the field today. Today’s favorite food — delicious and healthy pizza — made the change from brick and coal fire ovens with ‘double 0’ flour, freshmozzarella in water, and the finest San Marzano tomatoes to today’s style pizza with so many varieties. But the original Napolitano pizza is the most popular round pizza. On Friday nights, pizzerias everywhere are bustling. How did this phenomenon come about? The Catholic church forbidpeople to eat meat on Fridays. “I always say, how would you like to live life without pizza?” says Emilio. He is a firm believer that pizza adds pizzazz to our lives. I think he’s right. His great grandmother made her own version of pizza back in the day in Italy, a far cry from the pizza we Americans indulge in today, but pizza none-the-less. He makes this version at his place today, and calls it the Marinara Pizza, with plum San Marzano tomatoes, light garlic, oil, fresh basil, a little grated cheese — it’s actually a big seller. Emilio arrives at his restaurant in Commack at 8:00 every morning, preparing for the day and making sure everything is in place. 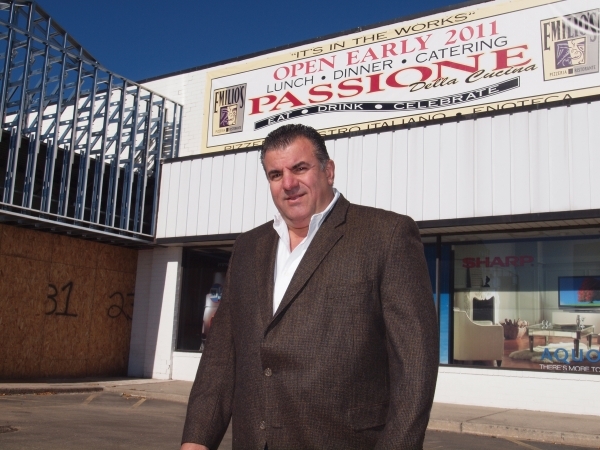 His magic formula for a successful restaurant is “flavor, freshness, drive, and passion.” His fervor has since overflowed, spilling over to new ventures including Fanatico’s in Jericho,Pasta-eria in Hicksville, and a fourth planned, Passione Della Cucina, in Carle Place. Passione Della Cucina means “Passion of the Kitchen.” This newest addition to his restaurant collection will be the biggest. It is a notch above Emilio’s, and will have outdoor dining, a grandiose bar, and a more sophisticated winelist. 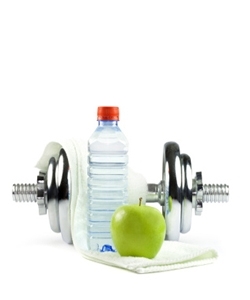 But not to worry — this exciting eatery will have the same fresh, delicious, food plus a lot of new menu selections. 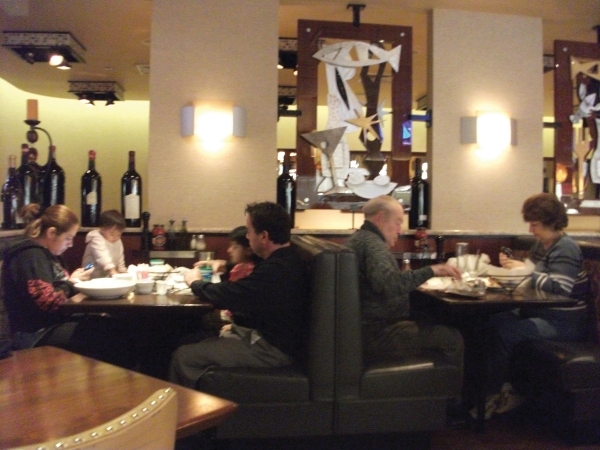 Emilio chose the Carle Place location because it is in the heart of Long Island and near Roosevelt Field, which is a populardestination. This latest endeavor will be the culmination of yearsof experience and learning. He has discovered through trial and error what works and doesn’t work, what types of employees will be best suited to run his establishment, and what improvements are needed in the system. Though this new restaurant promises distinction and superiority, all of his restaurants follow the Emilio’s “modus operandi” for excellence in every way. More specifically, says Emilio, “thanks to my father, Gino, for being one of the pioneers in the industry. He has opened the door for me and my family to pursue the pizzeria businessand I am always pleased when I meet other great people in the restaurant business with incredible food that add to the equation. I must also thank my uncle, Mario Branchinelli, my mentor for giving me my high standards for the business. And finally thank you all Long Islanders for acknowledging us andgiving us the ability to make things happen.